This week we have another video review from Jessica Ham, this one for Bohemian Rhapsody. 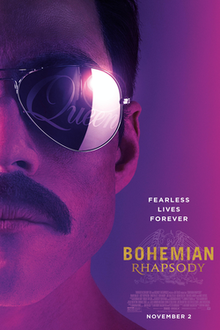 Bohemian Rhapsody is playing at Dinuba Platinum Theatres 6 and showtimes can be found on their website. Platinum Theaters Dinuba 6 now proudly presents digital quality films in 2-D and 3-D with 5.1 Dolby digital surround sound to maximize your movie experience. Jessica Ham is 25 years old and an ongoing contributor. With a love of all things nerdy, she's right at home covering entertainment. You can watch more of her videos on her YouTube Channel: www.youtube.com/user/JessTheGoodWitch.